This ring is only available as a size UK L, however we should be able to re-size it for you and have it delivered in up to 10 days. A stunning piece of craftsmanship. The goldsmith has achieved such a unique allure by contrasting shape and colour by utilizing stones of different cuts and setting them into a white gold graced with a high polished finish. 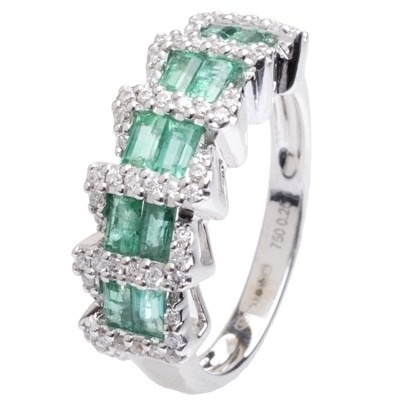 Brighten up your wardrobe with one of our gemstone and diamond dress rings at our remarkable Diamond Discount prices. Order today to receive your ring in premium unbranded packaging with free next day delivery.